for 24/7 shipping and receiving. Use gopost to conveniently leave your postage-paid, barcoded packages in a secure box, and the Postal Service will take it from there. 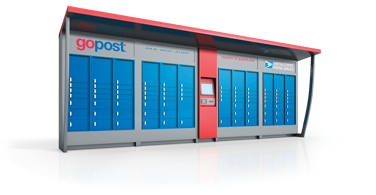 Get your packages 24/7 from conveniently located gopost units.